The Vodafone Fiji sevens rugby team plays Papua New Guinea in the semi-final of the Pacific Games. The Ben Ryan coached side beat Vanuatu 54-5 in the quarter-final and looks a good bet to nail the gold medal. The semi-final starts at 5.40pm. Also, the Vodafone Fiji Under-23 football side is through to the final of the Olympic Games play-offs, after beating PNG 3-1 in the semi-final. Suva striker Napolioni Qasevakatini scored a hat-trick for the side in the win. They will play either Vanuatu or New Zealand in the final on Sunday. In women’s basketball, Fiji beat Tahiti 72-46. Looking at the medal tally, Team Fiji is in the fifth position with nine gold, 15 silver and 11 bronze medals. 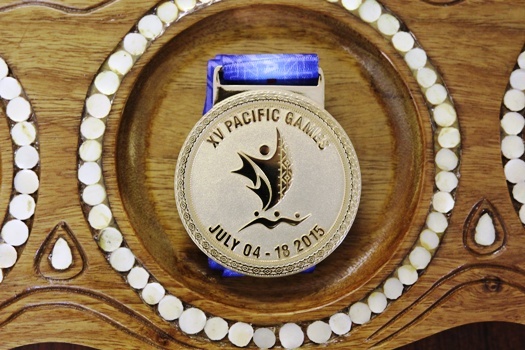 PNG still leads with 31 gold, 16 silver and 11 bronze medals, while Tahiti has 15 gold, 13 silver and 11 bronze. Samoa has 14 gold and as any silver, while New Caledonia has 14 gold, 12 silver and 11 bronze.